Location: Outdoor program. Play it on campus! Looking for something fresh to start your students on the path to success? 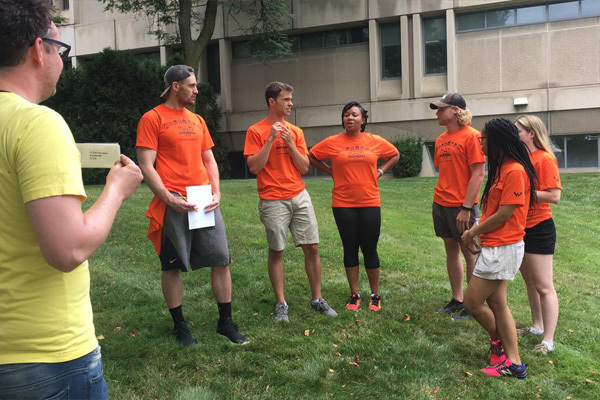 The Orientation Olympics adds pizzazz to your orientation or welcome week. 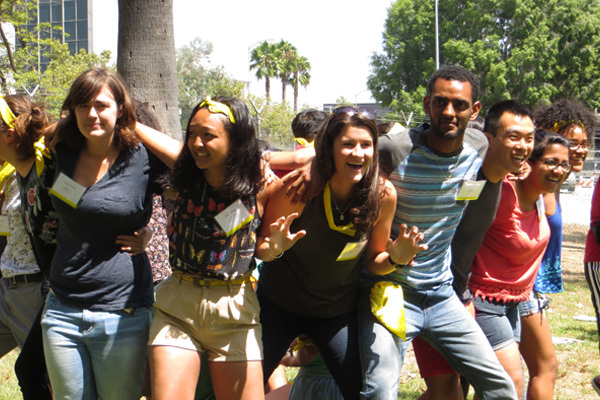 Play your way through a thrilling experience while building strong connections to new peers and a new school. 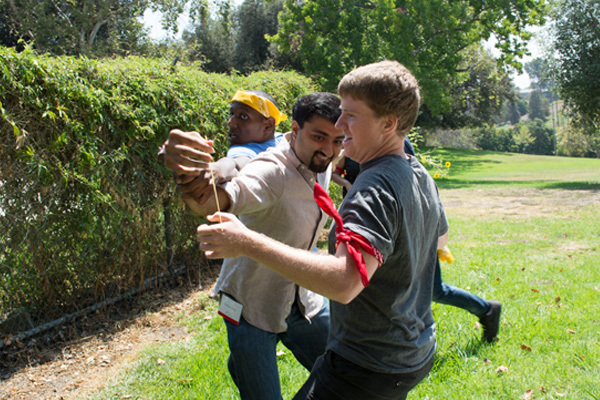 Our professional game masters — who design challenges for SURVIVOR — highlight the team’s diversity and gamify campus geography. 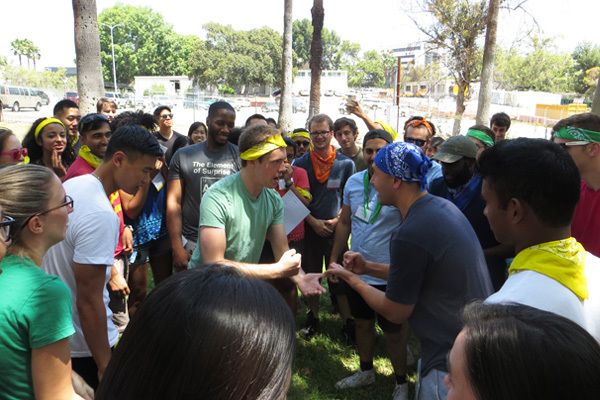 Teams of 6-10 race to challenge stations, learning their way around the school and facing off in physical games, brain teasers, and creative stunts. 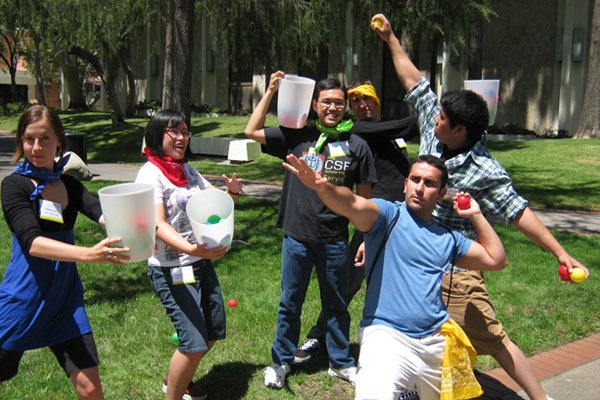 We provide everything from the beach balls and spaghetti strands to scorecards and pencils, plus gag gifts for the winning teams. 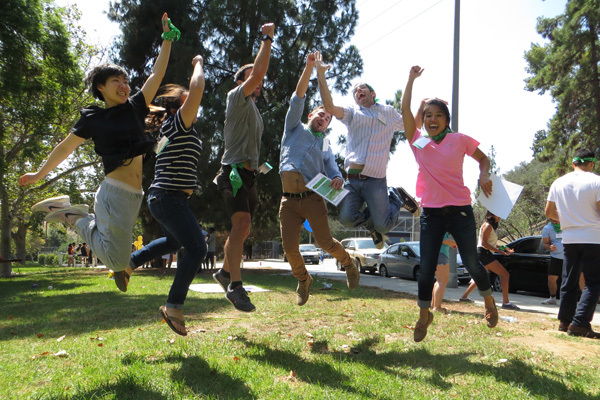 Besides our campus-wide challenge courses, we’ve got photo scavenger hunts and nighttime mix-and-mingle games, so whatever your needs, we have a choice that works for you. 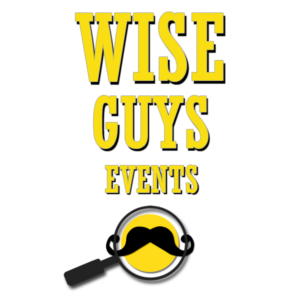 Call today to see how a Wise Guys game can make orientation sensational.